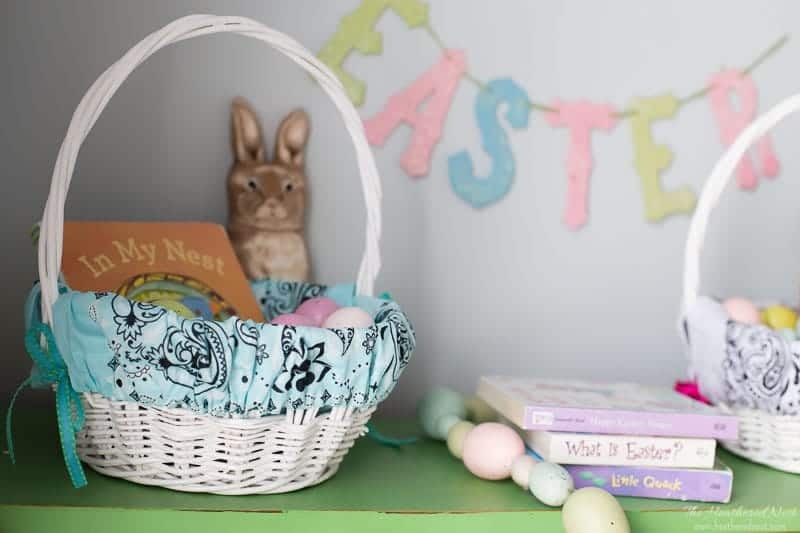 This basket liner may be the easiest DIY project we’ve ever posted on the blog. 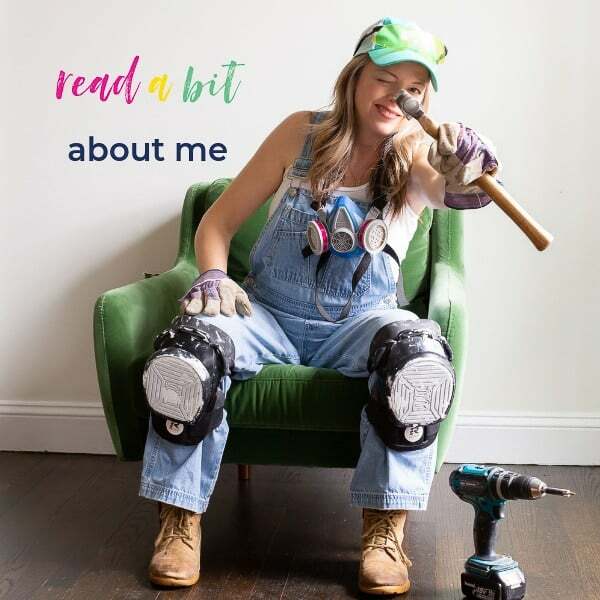 And I’m pumped to share it with you along with a BUNCH of other wonderful spring DIY projects from some wonderful women in the DIY and home blogging world. 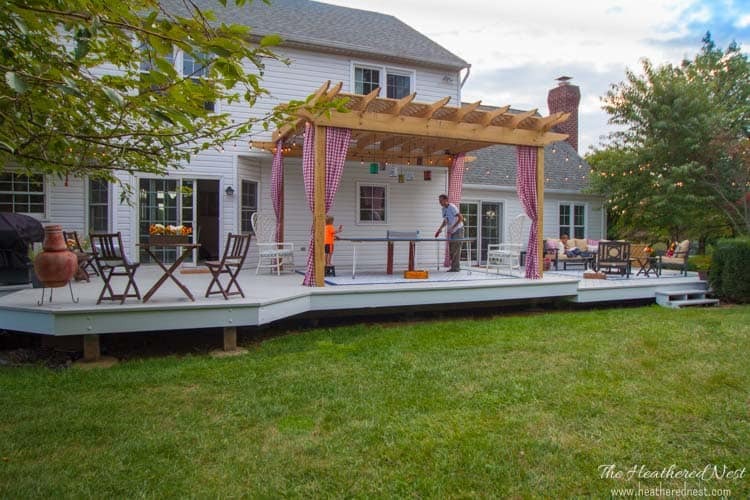 Thanks so much to Krista from The Happy Housie for bringing the group together! 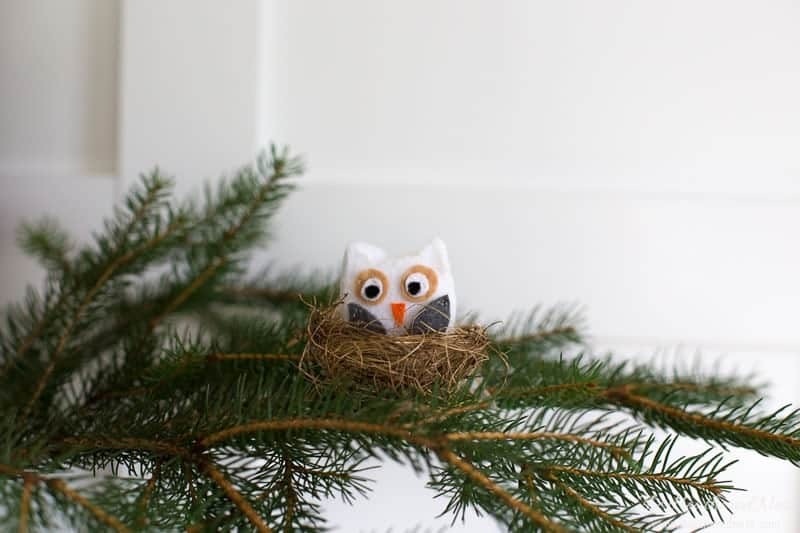 If this is your first time here at our nest, WELCOME! 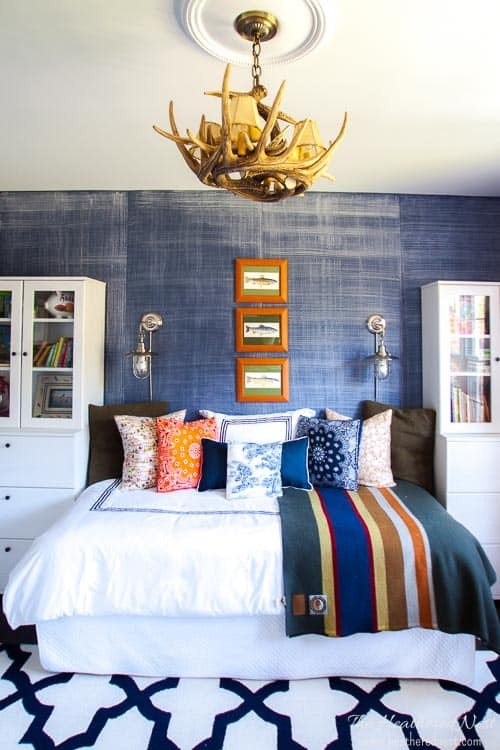 If you like color in design, off-color commentary (once in a while), easy DIY projects and budget-friendly home decor…then a big, BIG welcome, because you and I are going to get along FAMOUSLY. As far as today’s project goes, we made this basket liner for the kids Easter baskets. 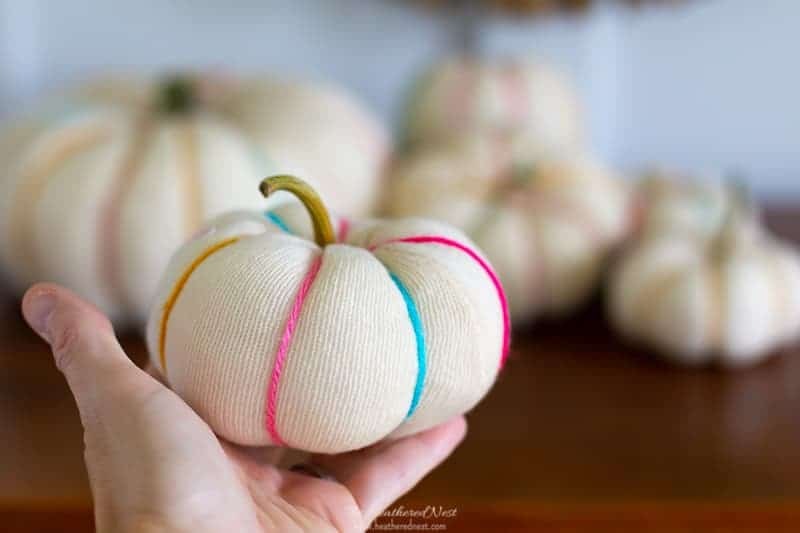 But this would look so cute at ANY time of year! Something to put utensils or condiments in for a BBQ in the summer, perhaps? 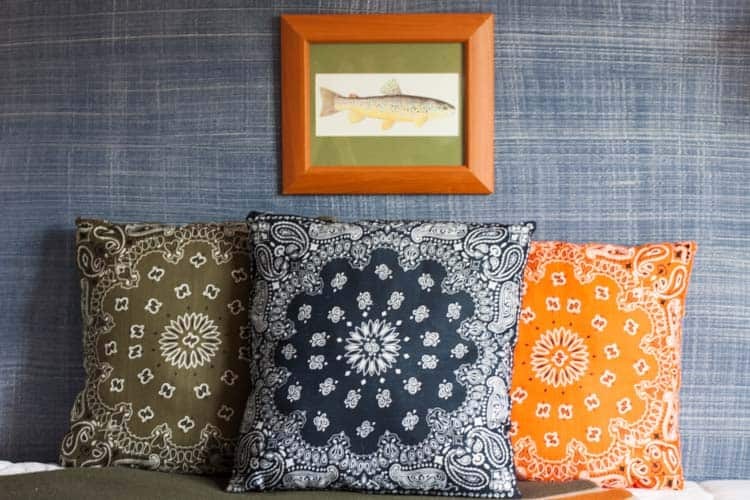 Besides taking less than 5-minutes to make, this project will cost you $1. Maybe a little more if you don’t already have a stash of ribbon around the house. But either way, it’s not a budget-buster. 1.) Determine how many bandana(s) you will need. We only used one bandana for our basket liner, but if you are trying to line a HUGE basket, you’re going to need more. But no worries, if you need more than one, you can just stitch (or use fabric glue) two or more together end to end. 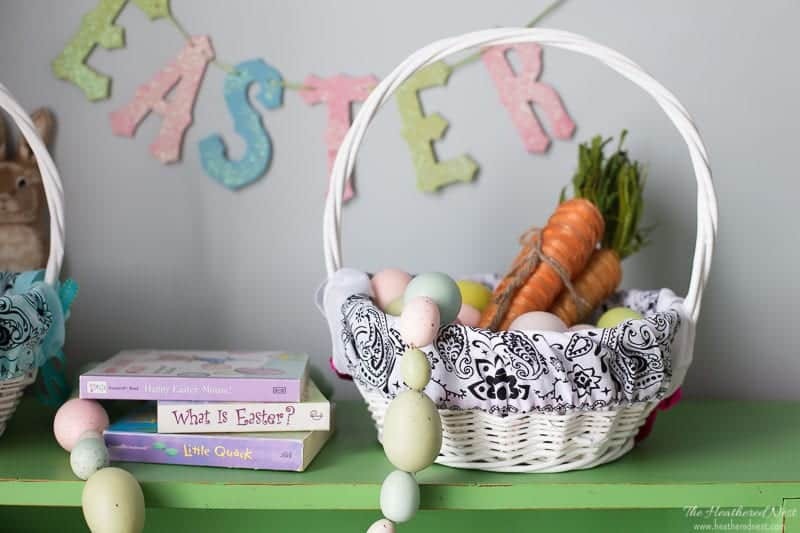 Basically, you need enough bandana to completely cover the interior of the basket, plus have enough material remaining to cascade over the edges of the basket by a couple of inches. Don’t get super hung up on this…just ballpark it. We used a pretty “typical” sized basket…about 10″ round, with a depth of about 4-5″, and one 22″ bandana was enough material. 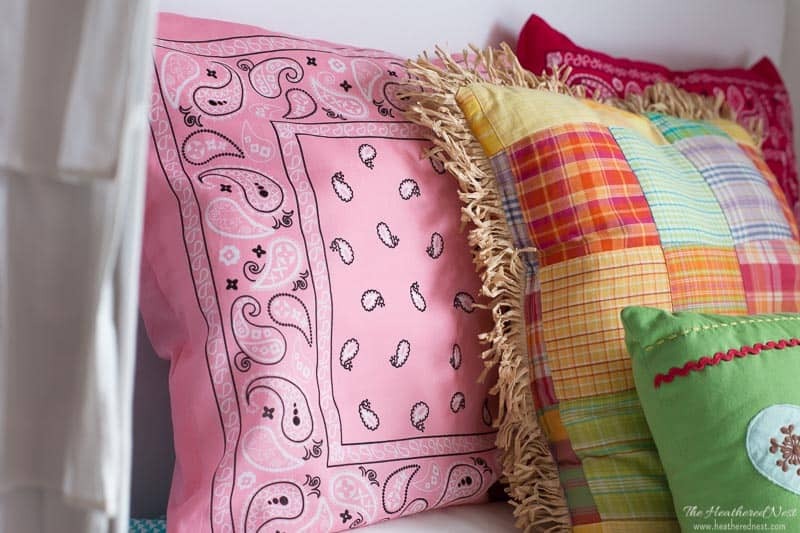 If you’ve decided you need more than one bandana, go ahead and sew them together end to end now. 2.) 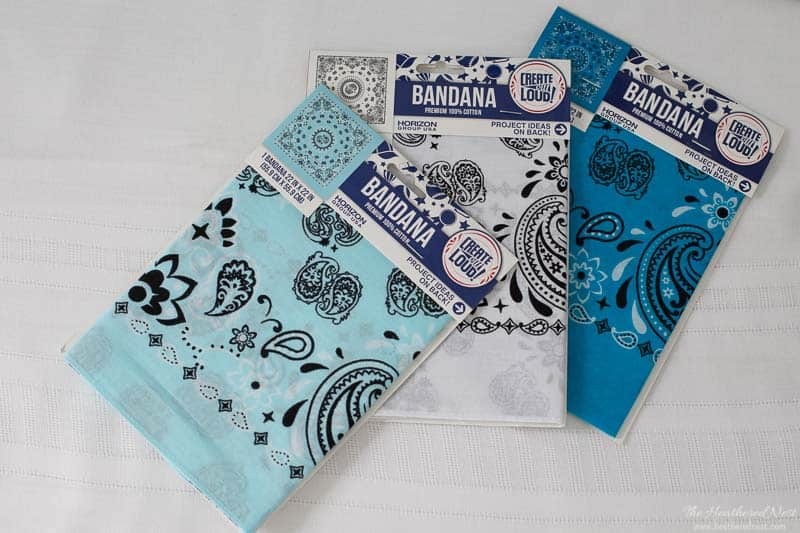 Iron bandana(s) to remove creases. 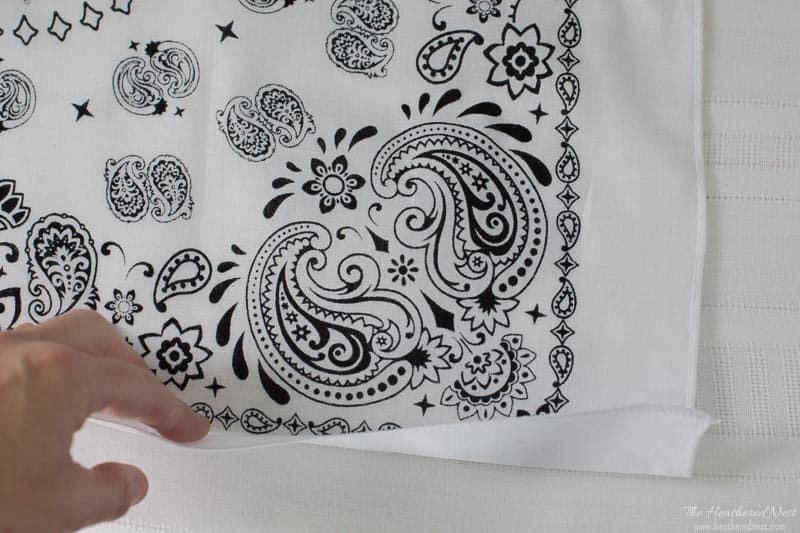 First, iron the bandana to remove all the creases. 3.) Fold 2 edges, and iron. Now create two channels for the ribbons. 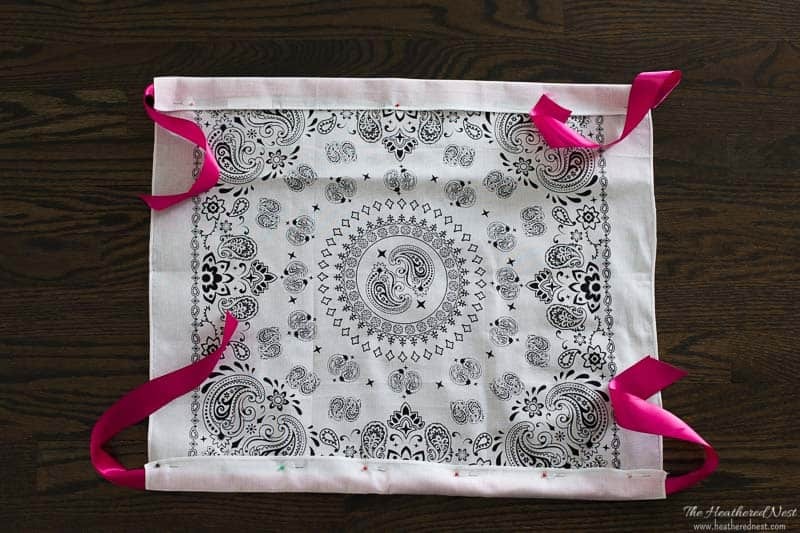 We’ll do this by folding one side of the bandana, about 1″-2″. The size of your fold will depend on the thickness of the ribbon you plan to use. With your fold in place, iron it to keep the crease intact. 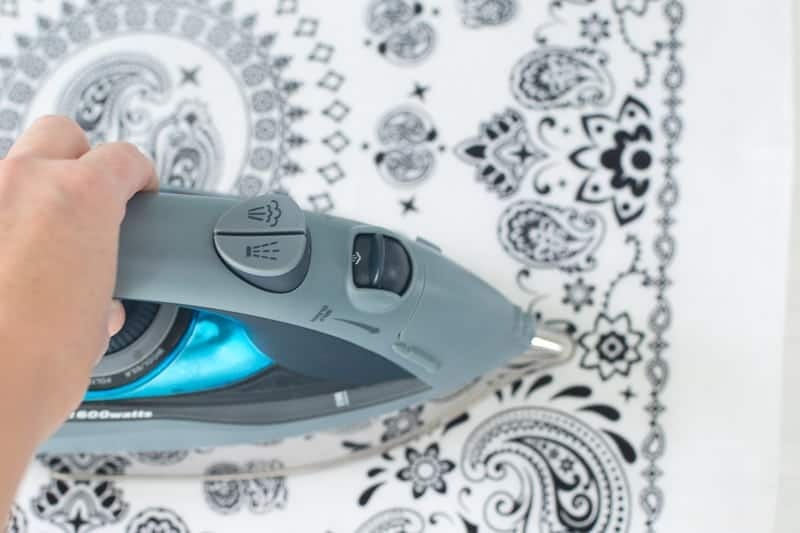 Repeat the fold and ironing process on the OPPOSITE side of the bandana. 4.) Place ribbon in the creases, and pin. Cut (2) lengths of ribbon. They should be as long as the bandana, plus approximately 4-6″ extra beyond both ends. 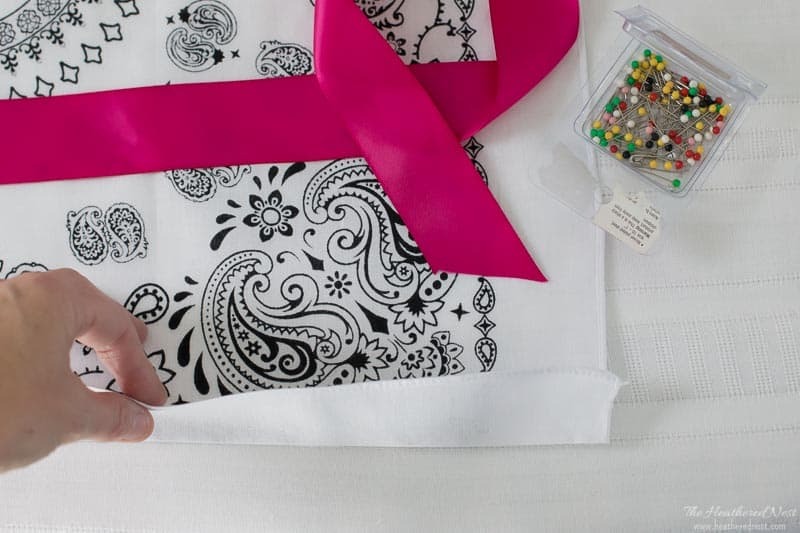 Pin the ribbon and creases into place in preparation for sewing. Your bandana should look like the image above before moving on. 5.) Sew (2) straight seams. 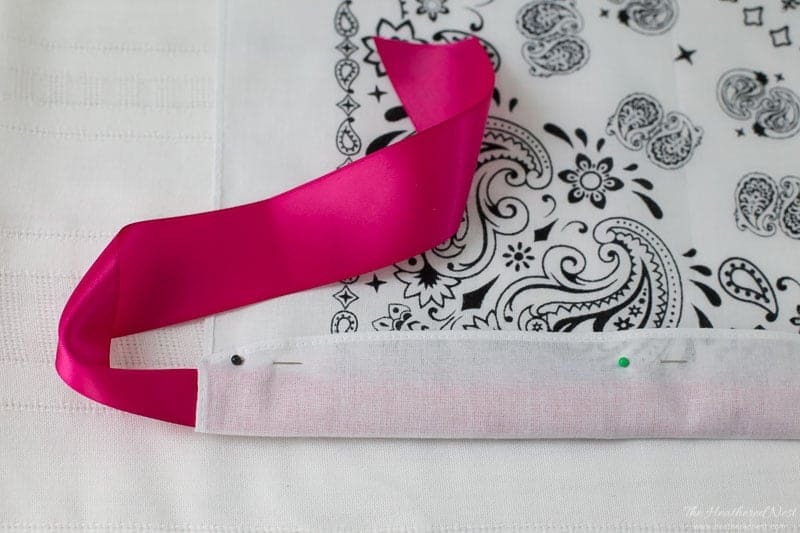 Now simply stitch a straight seam in order to create a channel for the ribbons on both ends of the bandana. Once you’ve done that, YOU’RE DONE! 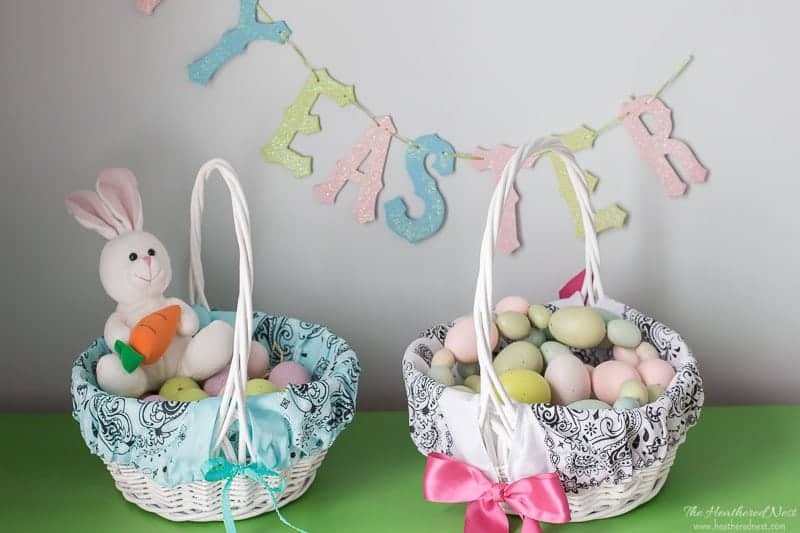 Simply place into your basket, and tie the ribbon in a bow on either side of the basket. 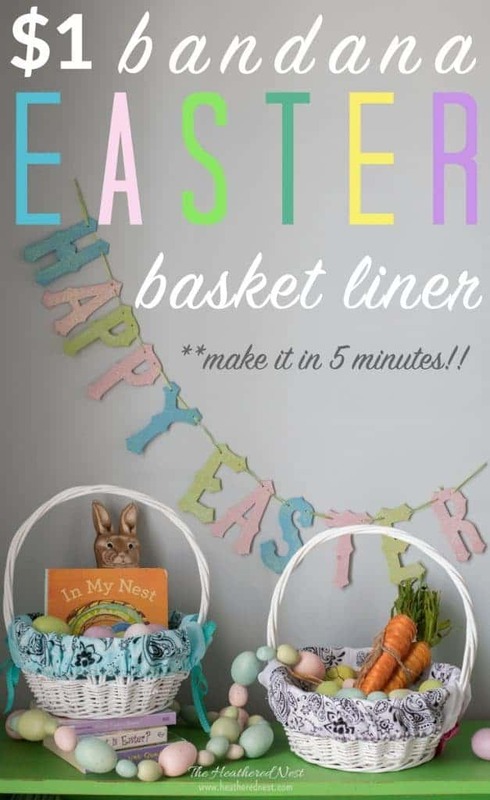 An adorable Easter basket liner that you just whipped out in about 5-minutes, for a whopping $1 each. Can’t complain too much about that, eh? 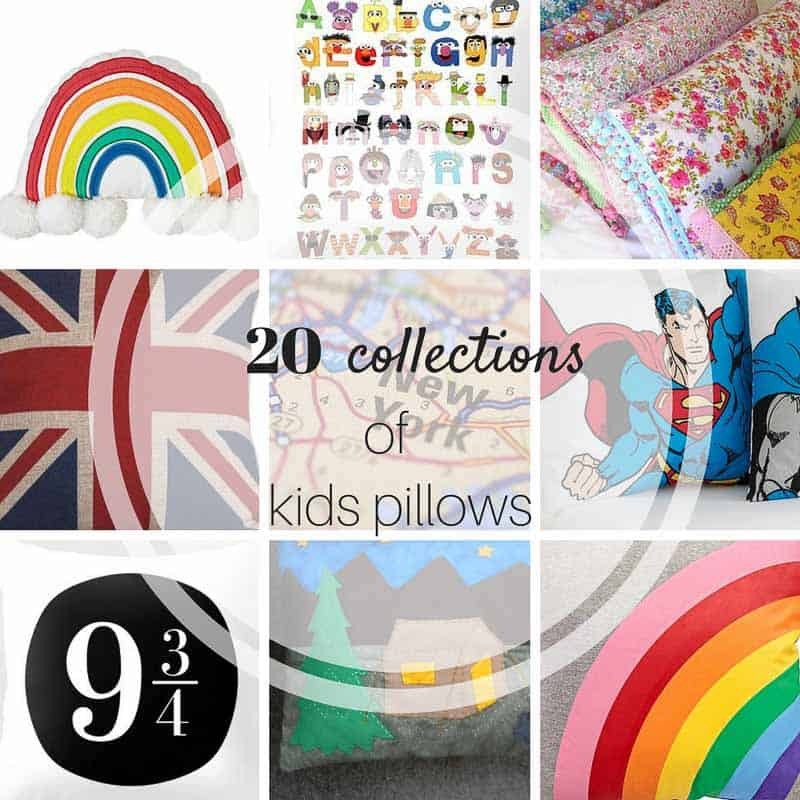 Now MAKE SURE you check out some of these super spring-y ideas from the talented women below! 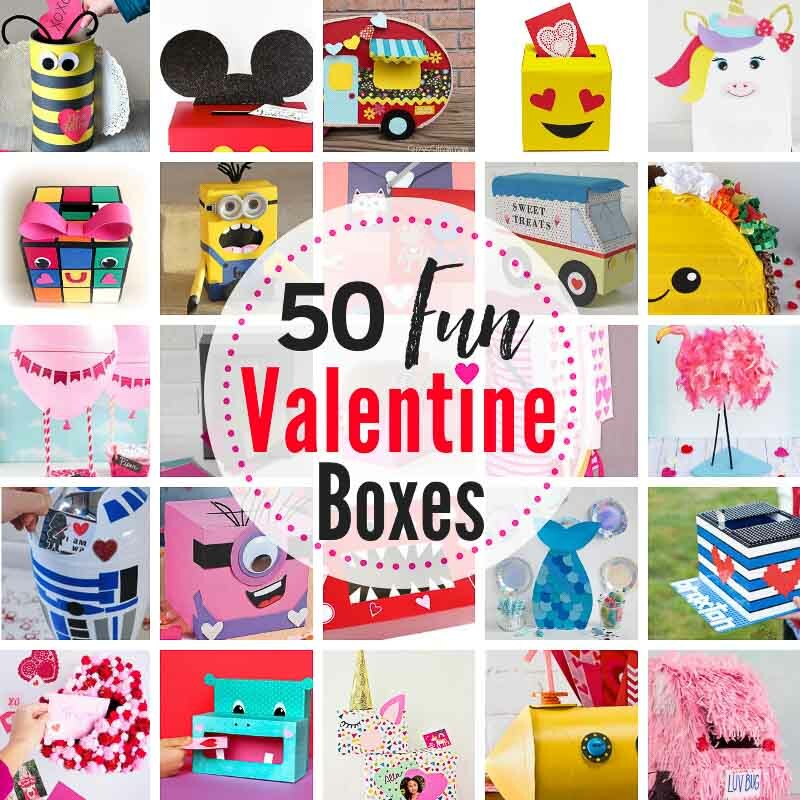 So many happy spring projects. 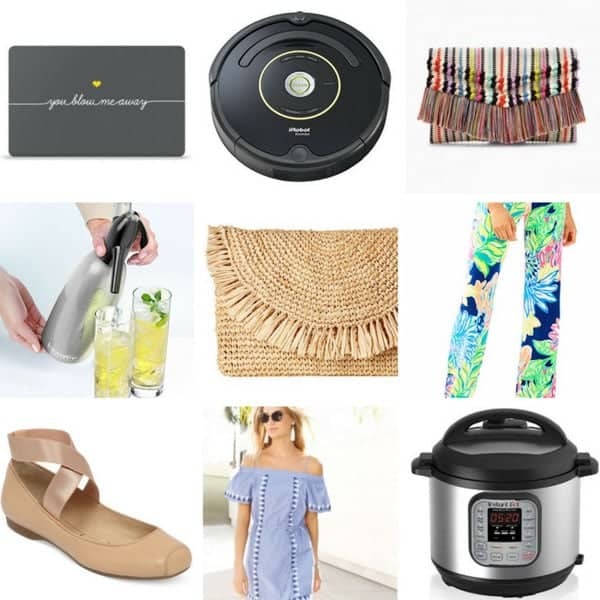 The warmer weather can’t come soon enough for me, how about you?! 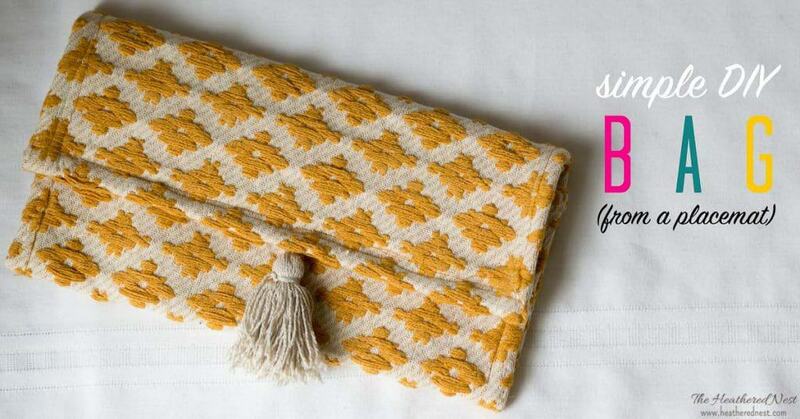 Check out the rest of these gorgeous spring DIY and craft ideas!! 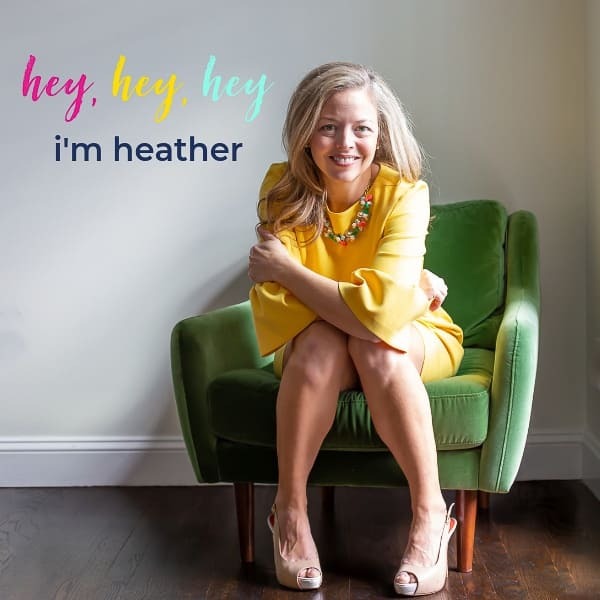 This is perfect, Heather! 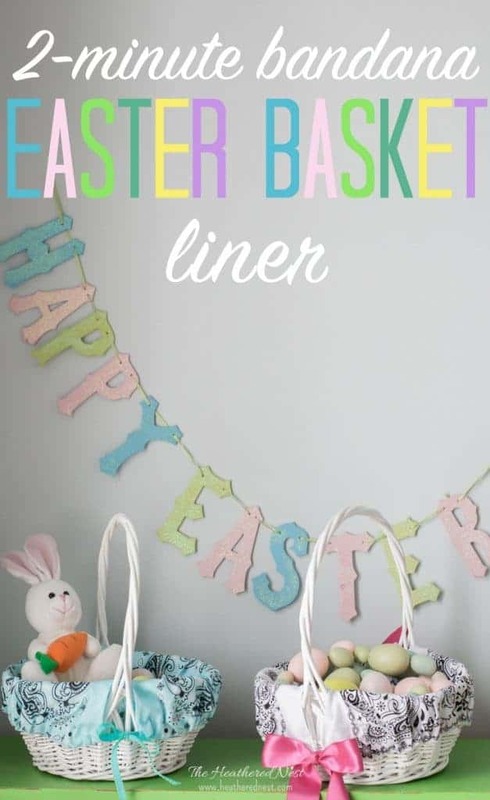 Such a fantastic spring DIY idea – I love how sweet these basic baskets look with these liners!! Thanks for joining in on this hop!